The Tenberry DOS extender DOS4GW.EXE was used by many early DOS games. I still enjoy playing many of these games and DOS4GW.EXE is usable with DOSBox, so they can be played on Linux. 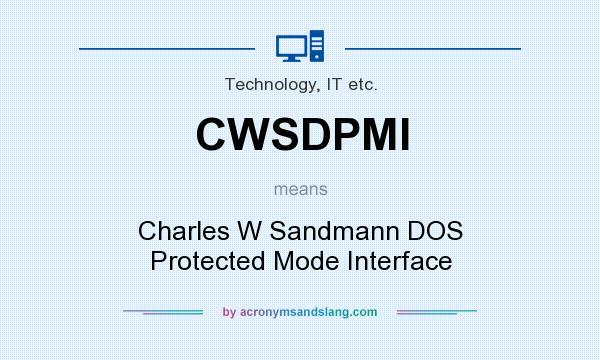 But first, let's understand what DPMI, or DOS Protected Mode Interface, is all about. DPMI allows DOS programs to run in Protected Mode and have access to features of the processor not available in Real Mode. This is mostly to allow DOS apps access to more RAM. While you would think that full DPMI 1.0 compliance is great, Windows from 95 to Vista only supports DPMI 0.9 (plus the math co-processor and int 0x2f functions from DPMI 1.0) so if your app uses 1.0 features not supported by Windows, it will not run in a Windows DOS-box. As a result, most DOS extenders are written to the 0.9+ Microsoft spec. 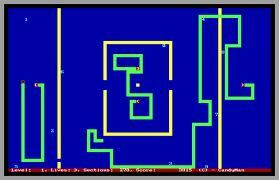 An alternative DOS extender is DOS/32A and the download link is here or here. It is Free Open Source Software and can be used as a drop-in replacement for DOS4GW.EXE (you just have to re-name it to DOS4GW.EXE), but is much faster and more efficient. You may find that it works "more better" with your particular game. I know that Carmageddon runs better with it. If your DOS game uses DOS4GW, you should use this. Another DOS extender of interest is the HX DOS-Extender. The advantage to it is that has built-in Win32 PE file format support, providing a win32 API so win32 console apps will run. Most interestingly, it has a GUI extension that allows some simple Win32 GUI apps to be run as a "stand-alone" application without the need for Windows, a Windows emulator or WINE; there is 16-bit support as well. Opengl support is also provided, but is software only. 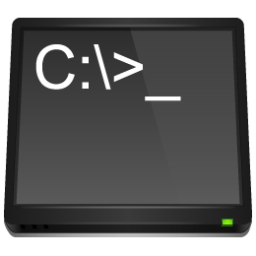 There is ongoing development and it is compatible with Bochs, Qemu, DosBox, VMWare and VirtualBox. Sadly, this cannot be used in a Linux environment since Linux DosEmu will not allow a ring 0 application like HDPMI to run under its control, instead implementing its own DPMI host. It can be used with DOSBox. I recall seeing some DOS games (like QUAKE, which actually use an alternate version) using CWSDPMI.EXE , so here's the link to the homepage; source and binary downloads are available although Rice.edu seems to have taken it offline for now, so it's only available from some FTP servers. It supports memory swapping. If your DOS game uses CWSDPMI.EXE, get the current version. DPMIONE has some interesting features -- it is fully DPMI 1.0 compliant, takes up less lower memory that the others, is only loaded once and includes a built-in extender, but is non-commercial use only. Homepage here. Docs here. Download it here. While running old games is fun, the real value of applications like DOSBox and these modernized DOS extenders is the ability to run legacy commercial 16-bit and 32-bit apps on a more robust and secure operating system on modern hardware at little expense and with relatively easy and rapid development. With over 2000 views, any comments and feedback would be appreciated. I hope you found this information useful. I'm curious to know what applications you use with this. DOSBox: AUTOEXEC.BAT and CONFIG.SYS emulation. To create a formatted floppy image using Linux.It will not be bootable unless you install MSDOS, DR-DOS or FreeDOS on it. Thanks. I have some old MS-DOS apps and a few games (both DOS and early Windows) that I can't get to run in Vista or Windows 7. DOSBox? So far no good. While a bit over my head, your page was helpful and points me in a direction I think may provide a solution. No rush on this for busy me, but I've copies the information, will grab some of the add-ons you suggested, and give 'em a try. Thanks for your effort.